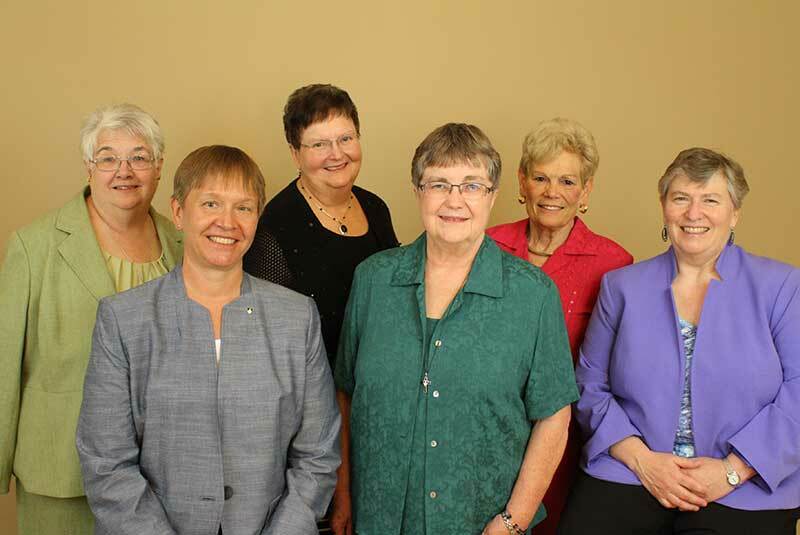 The newly installed Prioress and Council for the Sinsinawa Dominican Congregation of the Most Holy Rosary include (from left) Srs. Angelo Collins, Betsy Pawlicki, Pat Beckman, Toni Harris (Prioress), Colleen Settles, and Pam Mitchell (Vicaress). SINSINAWA, Wis.—June 25 marked a day of transition for the Sinsinawa Dominican Congregation of the Most Holy Rosary. The morning was filled with heartfelt appreciation for the Prioress and Council who served the Congregation from 2011 to 2016. In the afternoon, Sisters, Associates, family, and friends gathered to witness the installation ceremony of a new Prioress and Council who were elected to serve the Congregation from 2016 to 2021. All those present pledged their love and prayers to help the Sisters preach, search for truth, and work toward building a holy and just Church and society.